Two weekends ago, we attended the Southwest Symposium held here in Austin, TX by the esteemed Academy of Oriental Medicine at Austin (AOMA) school. The event was a great opportunity for us to immerse ourselves in the community and get a chance to talk to practitioners, vendors, various schools and the AOMA staff. We brought our iPad to the event and showed our prototype to as many people as we could. During one of our demos, a very spirited practitioner, asked a very important question, which is "What happens to my patient data if I no longer want to use your system?" This was a great opportunity for us to talk about one of our core beliefs which is a practice management software should allow for data portability and data ownership. A practitioner should be able to change software vendors and never feel locked in because she cannot get her data out of the system. 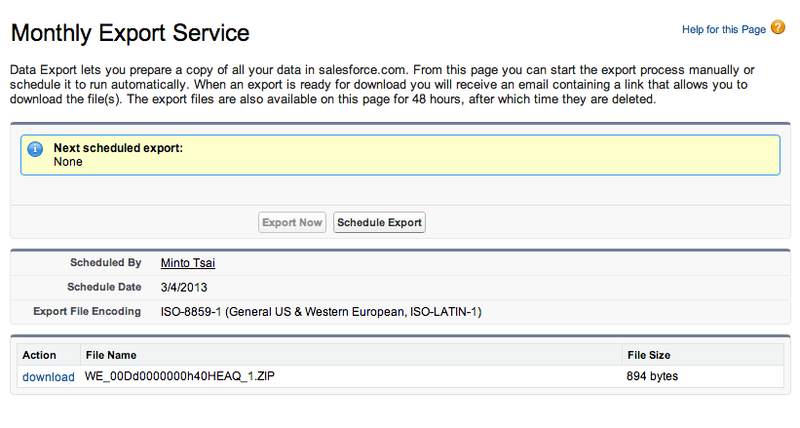 So the ability to export your data in an open format is very important to us. Also, we believe the data you've entered into a practice management software is owned by you the practitioner, and not the software vendor. 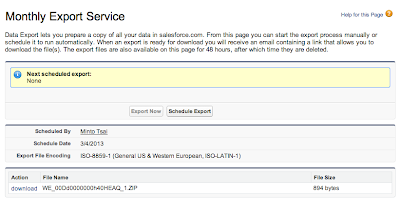 Below is a screenshot showing the export service within the Jasmine Practice Management software and what you are seeing is the ability by the practitioner to export all her data into a downloadable zip file. And within the zip file contains a CSV (Comma Separated Variable) file with all your data in an nonproprietary and easily portable format. Data Portability: What are the issues to consider? The data needs to be easily exportable. This should be a standard, built in feature. You should not have to pay the software vendor to export your data. The format of the data from the export should be in a nonproprietary format and is understood by other software. Make sure your software vendor is clear that you own your data that is within the system. So as you compare various EMRs and practice management software in the market, always keep in mind whether the system allows for data portability. You own your data.